Kyrie is thrilled to be back at Theatre Wit with Kokandy Productions! She was last seen on this very stage in Kokandy’s production of The Wiz. 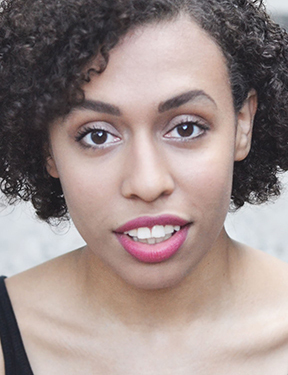 She is a recent graduate of The Chicago College of Performing Arts at Roosevelt University, where she received a BFA in Musical Theater. Favorite credits include: “Michelle Morris” (Dreamgirls), “Fran Kubelik” (Promises, Promises), “Sheila” (HAIR), “Marta” (Company), “Ti Moune” (Once On This Island), “Sarah” (Ragtime), and “Vanessa” (In The Heights). Kyrie would love to thank her incredible family for their undying support and love. Just keep swimming!